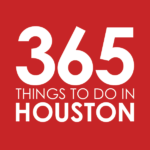 The Houston springtime is here, and with it comes plenty of outdoor-friendly, and quite tasty, happenings throughout April 2019. This month, you can be the judge at a taco throwdown, get the meat sweats at a barbecue festival, and sip award-winning wines by both the bayou and the island. There’s also mudbugs, beers, and the menu of all menus. Check out everything you need to eat and drink this April. Brenner’s Wine Fest at Brenner’s on the Bayou | Saturday, April 6 – Hit the picturesque lodge and lawn along the bayou for a day of live music, local bites, and wines from award-winning vineyards. Sip and savor as you enjoy eats from Landry’s spots like Brenner’s on the Bayou, Brenner’s Steakhouse and Grotto Downtown (VIP), Vic and Anthony’s, Willie G’s and more. Tickets are $89 pre-sale; $99 day of; VIP tickets also available. This event is 21-and-up only. 4pm to 7pm with early admission for VIP. Tacos over Texas at The Original Ninfa’s on Navigation | Sunday, April 7 – The Ninfa Laurenzo Scholarship Fund will hold its second annual fundraising event, Tacos Over Texas, in collaboration with El Tiempo Cantina and The Original Ninfa’s On Navigation, bringing together chefs from around the country to share their cooking skills in a friendly competition that celebrates the history and transformation of Houston’s passion for multicultural food. Guests can unlimited samplings from participating chefs and restaurants, beer and margaritas, live music and more. Tickets are $40 for general admission (unlimited samples and two drink tickets included); $200 for VIP. 1pm to 4pm; noon entry for VIP. Houston Press Menu of Menus at Silver Street Station | Tuesday, April 9 – The 17th annual Houston Press Menu of Menus offers unlimited food samples from Houston’s top restaurants, plus beer, wine, and cocktail samplings. This year’s lineup of restaurants includes local favorites like Andalucia, Boheme, Bosscat Kitchen & Libations, Kuu, Max’s Wine Dive, and Peli Peli. Tickets start at $49 for early bird general admission (prices will increase), with early bird VIP tickets available for $79. The event is 21-and-up only. 7pm to 10pm. Karbach Crawfish Fest at Karbach Brewery | Sunday, April 14 – Karbach and RTIC Outdoors will raise funds for the Robert Garner Firefighter Foundation at the Karbach Crawfish Fest, featuring live zydeco and brass bands, pints, pours, eats, mudbugs and more. Tickets are $15 to $25 for general admission; $135 for VIP (includes 3 pounds of crawfish, 3 beers, access to VIP areas, and swag). Noon to 9pm. Houston Barbecue Festival at Humble Civic Center Arena | Sunday, April 14 – The seventh annual Houston Barbecue Festival brings your favorite bbq joints to one place. Get smoked meats and goodies from top smokehouses like Blood Bros. BBQ, CorkScrew BBQ, Feges BBQ, Harlem Road Texas BBQ, Killen’s Barbecue, Pinkerton’s BBQ, Ray’s BBQ Shack, Tejas Chocolate + Barbecue and more. Tickets are $60 for general admission; $120 for VIP (limited). 1pm to 4pm. Southern Smoke Spring | Sunday, April 14 through Thursday, April 18 – Chef Chris Shepherd has announced Southern Smoke Spring, a series of dinners throughout the city that will help raise money for the Southern Smoke Emergency Relief Fund. The spring lineup of this charitable event includes Steak with Aaron Franklin at Georgia James on Sunday, April 14; A Dinner with Jamie Malone at UB Preserv on Monday, April 15; Citywide Steak Nights on Tuesday, April 16 and Wednesday, April 17; and a Southern Smoke Spring Finale at One Fifth on Thursday, April 18. Since 2015, the foundation has donated more than $1.3 million—both to food and beverage industry professionals in crisis and to charities like the MS Society, the Gulf Seafood Foundation and Legacy Community Health. Times vary. 4th Annual BigAss Crawfish Bash at Gulf Greyhound Park | Saturday, April 20 – This family-friendly crawfish cook-off will feature all-you-can-eat mudbugs for $20 pre-sale, plus live music, rides, vendors, a kid zone and Best of the Gulf Coast Team and Best of the Bay Restaurant Cookoffs. The charity event (which is known to sell out) will be donating to Camp Hope, local education foundations, and other charitable efforts. Rain or shine. 11am to 11pm. Galveston Island Wine Festival | Friday, April 26 and Saturday, April 27 – The tenth annual Galveston Island Wine Festival returns, with events including a Premium and Grand Wine Tastings and a 5K Champagne Fun Run. Tickets range from $72 to $156, varying by event and package. Times vary. Katy Wild West Brew Fest: The Rotary Club of Katy at Katy Mills Mall | Saturday, April 27 – This fan-favorite beer fest features over 500 different brews from over 80 brewers. See (and taste) which beers get crowned at the Brewer’s Competition and get a taste of the winners in the Champion of Champions Tent. Tickets start at $35 and include access to the event, musical entertainment, and a sample card for 12 two-ounce pours. 3pm to 9pm. Butchery Demo at Revival Market | Thursday, April 25 – Jason Kramer of Yonder Way Farms will be joining Morgan Weber and Jack Matusek at Revival Market’s next Butchery Demo. The day will feature an up-close look at butchering a whole hog from the farm, along with plenty of tasty eats. Upon arrival, guests will sample a selection of meats from Revival Market’s charcuterie case before heading into the kitchen for a whole hog butchery demo. A family-style meal will be served following the demo, and guests are encouraged to bring their own wine, beer and/or bourbon to enjoy throughout the night. Tickets are $125 per person, plus gratuity, and there are only 30 seats available. 5:30pm to 8:30pm. Dining Out For Life 2019 | Thursday, April 25 – Participating restaurants around Houston will join in on this annual nationwide fundraiser, with a portion of the proceeds supporting AIDS Foundation Houston (AFH) programs and services that help thousands of Houstonians living with HIV/AIDS. Guests are invited to dine out and simply pick up their own tab at spots like B&B Butchers, Barnaby’s, Ginger & Fork, Le Colonial, Niko Nikos, and El Real. Times vary by restaurant. Texas Crawfish & Music Festival at Preservation Park | Saturday, April 27 and Sunday, April 28 – Country music and crawfish unite for a weekend of family-friendly fun, with eats including mudbug boils, Cajun bites, and festival staples like bbq, burgers and ice cream. Festival-goers can also expect alligator theme park Gator Country and a petting zoo. Tickets are $12 at the gate (ages 13 and up); $5 for children (ages 6 to 12). Times vary.